Today we’re going to be talking all about how to market your Shopify store on Pinterest. I get weekly emails requesting more ecommerce-related podcasts, but I’m not at all an expert on this. I’m learning along with the rest of you. Today, we’re talking specifically about Shopify stores with Vanessa Kynes. Vanessa was just on the podcast with me a few weeks ago to discuss marketing wedding services on Pinterest. That episode was a favorite! After we recorded it, we were talking about the Shopify mystery and decided we needed to follow up with another podcast on this topic. Can Shopify shops succeed at driving traffic with their content from Pinterest? More than ever, Pinterest is a great place for brand discovery and finding new customers. The most significant area of recent growth on Pinterest is in e-commerce content. Pinterest is a discovery search engine. It is a place to introduce brands to users. If you know you want a pair of Nike tennis shoes, you don’t go to Pinterest. You go to Amazon and buy the shoes. However, if a user is searching for cruelty-free makeup, and you’re using those keywords in your products, you’re introducing the user to brands and products they never knew existed. We don’t have much data on how buyable pins perform on Pinterest yet. When you have Shopify, you apply for a Pinterest channel within the Shopify platform. Shopify examines your items and approves you. (This only works for actual products, not digital, as of right now). Pins are pulled to Pinterest with the description from the Shopify website (you can write a separate description as well). Currently, Pinterest is really highlighting these shoppable pins. They are connecting these pins to content all over the platform. This is a really powerful reason to be using shoppable pins. Do You Need A Blog to Go Along with Your Shop? Now that you’ve spent time creating your product and posting about it, do you actually need a blog? Yes! Not necessarily for the reasons you would think. Having a blog is important, not just for Pinterest, but for your Google SEO. You get fresh content and you show that your products are solving problems. Having a blog helps build trust and engagement with your customers. If you look at the traditional marketing funnel, the top of the funnel is cold. You need to pull potential customers in deeper to make the sale. Your blog allows you to “pull them in” so that they get to know who you are. Use your blog to tell the story of why you created your product. Be consistent when you decide to start blogging. If you can only blog once a month, then do it once a month! Consistency is super important. Remove all the dates on your blog. You don’t want someone coming to your blog and seeing that your last post was two years ago. Our last bit of blogging advice — Don’t be a “used car salesman.” Use the blogging platform to connect. It’s not a place for hard selling. Shopify is an amazing platform with great ways to take your Pinterest traffic and re-engage users. There’s a space on Shopify where you can shop for apps. There’s one called Abandon Cart Notifications. It allows you to target people who add your product to their cart. You can send them an email to invite them back to your site. Be sure you’re collecting email addresses. You’ll have cold subscribers who are just interested in getting a 10% off coupon. Your goal is to move those subscribers into your email funnel because then you’ll be able to re-target them. Sign up for emails from bigger companies like Target and Nordstrom to see what they’re saying in their emails in an attempt to get you back to their site. Sometimes you just need that little incentive to get back to the site and make the purchase. We love quiz pins. You’ve probably been re-targeted by a promoted pin from Stitch Fix. It’s a flat-lay of an outfit and it says “take your style quiz.” These quiz pins perform really well. They enable you to get emails in exchange for quizzes. Start developing more calls to action on your actual pins. Look at the bigger brands that have similar styles as you and see what they’re doing. Your pin strategies will evolve over time. Get a free Canva account and start playing around while you figure out what gets people clicking over to your store. Anyone who has been listening to the Simple Pin podcast for a while knows that I love gift guides. You can look for bloggers or content marketers who create gift guides and see if they might be willing to include you in their next one. That will get you some great exposure that’s not coming directly from your site. Also consider creating your own gift guides (here’s a course on creating gift guides that can walk you through the process). Make sure you’re branding your images in the bottom center of your photo. Your logo will eventually be able to be recognized immediately (think the Target bullseye). You don’t want anyone to steal your pin! 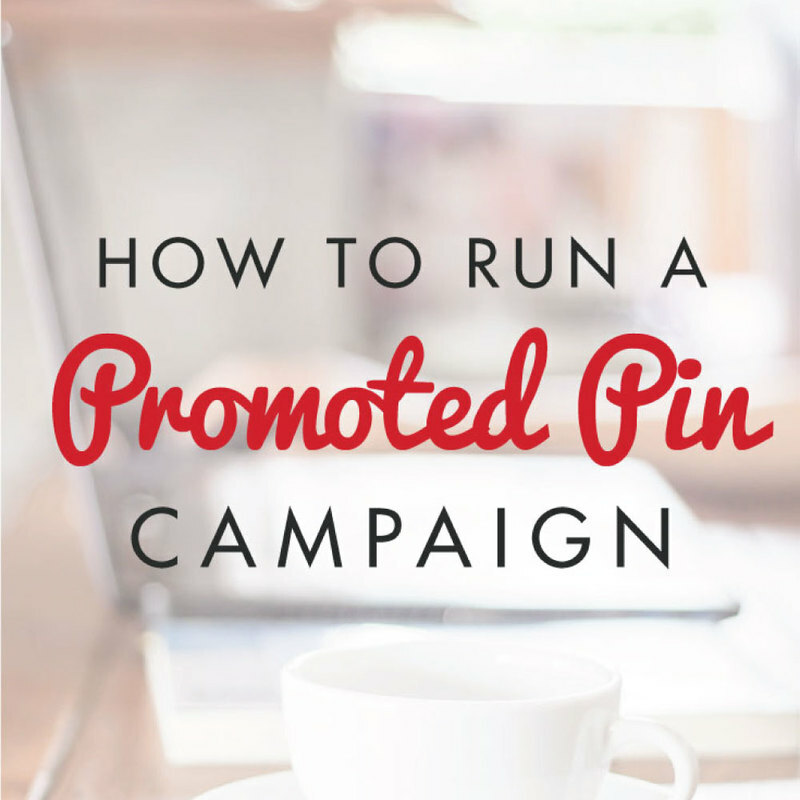 All of your pins should have a cohesive look (aside from your logo). Use your other platforms to send people to your Pinterest account. Use Instagram stories and the “swipe up” option if that’s available to you. 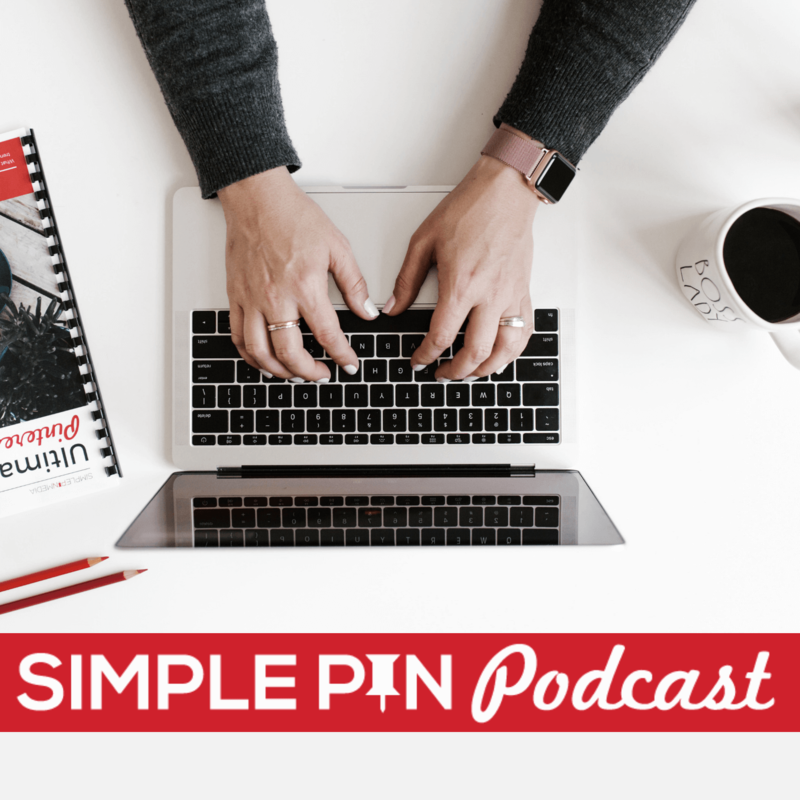 There are lots of resources on the Simple Pin Media podcast. Go back to the basics. There’s so much about Pinterest and regular marketing that’s useful for you. Have a content marketing plan through your blogging. It’s an extra step but it’s so worth it over time. If you feel frustrated, content marketing is one of my favorite things, so sign up for a consult! We would love to help you! If you’d like to receive more Pinterest marketing information, make sure you sign up for my weekly email. I don’t share this content anywhere else, so go check it out to get an insider view. And be sure to connect with Vanessa on her website, Instagram or Pinterest! 12:19 – Do I Need a Blog? You have provided some effective tips on how to market our Shopify store on Pinterest and these tips are really going to help us. Pinterest is one of the best traffic sources. Now, Pinterest launched its new feature called Pinterst communities and it will be the best place for sharing and researching information.